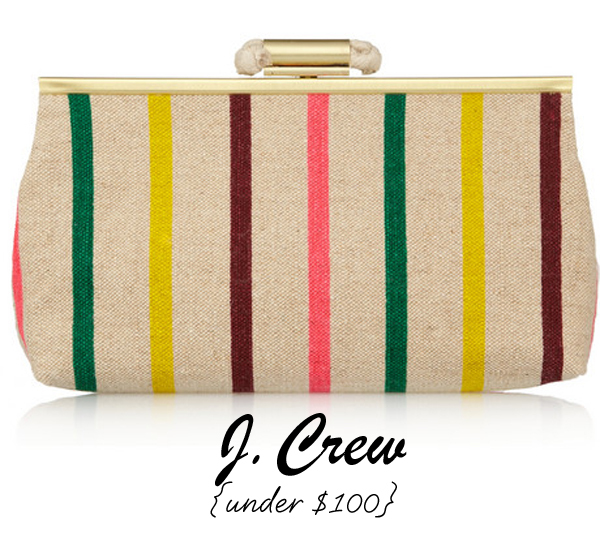 This J.Crew clutch is one of the items I had planned to include in today’s “What I Love Right Now” round up. (I’ll have a great round up planned for next Thursday!) Can you think of a more perfect spring clutch? I adore the colorful stripes. Not to mention, its budget friendly. Shop it here. My heart just fluttered!! love! I am obsessed with anything and EVERYTHING jcrew! It is so hard not to buy everything when I go into the store! Absolutely beautiful. This would look nice with the white cheap designer dress I bought the other day. If I can get matching accessories nothing more than that. Just found your blog…I've had my eye on this clutch as well! It is gorgeous! !